Welcome to Throwback Week 2017! Each year, our writers tackle older albums we have yet to cover on the blog. This year, we’re covering albums released in 2013 or earlier. 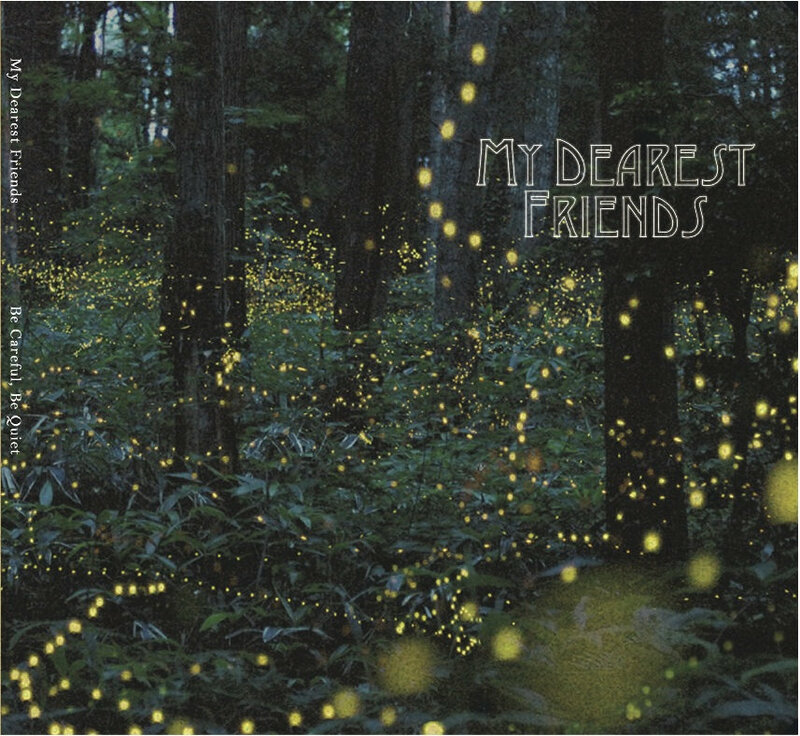 My Dearest Friends’ first full length “Be Careful, Be Quiet” is a soft record that harvests sincere beauty. The album takes the listener on a trip into interior British Columbia, where less familiar high school friends gather in their vintage Westfalias and surround a summertime campfire. The sleepy acoustic on “Waiting for The Stars to Fall” strums as a backdrop to conversation, lulling the group of teenagers into a moment of deep meditation. Enter hushed acoustic piano, and the song bursts upward. Guitar melodies syncopate, fireflies gather in a pastor, drums dig in heavier and heavier to an almost perfect accompaniment of a male tenor performance. After listening to the song, nothing feels as good as jumping into the lake, laughing and bubbling away. Banjos rollick and curl their way through the ten song album, adding sweet and soulful traditional sounds to the songs that were written by Luke Nielsen. “It’s All Gonna’ Burn” is the most country song on the album, pairing nicely with Canadiana musicians Daniel Romano and Zachary Lucky. It’s soft, not sad like Elliott Smith—more in the vein of inspiring and anthemic rock music. It’s dedicated to the songwriters’ family, future friends and current strangers. “Little Spark” embodies nap-rock, with its quick fingerpicking and sparse piano lines. Rich harmony develops over lyrics, “If I close my eyes / I can almost see / the light in your heart / the same thing burns in me / let it out”. A little bit of pain might be hiding underneath the writing, but the song’s utility is to soothe, not sulk. Motifs descended and create tension between verses on “How to Lose All Sense of Feeling”, before expanding dynamically with “oh’s” and louder, distorted electrics. The album ends on “Just One Word”, and the sun comes up. Everyone else is asleep but a duo of lovers sitting on the rocks. It’s a beautiful, minimalist ode to the sweet idea of romanticism, only for a short period of time. Sometimes I like to look out onto the lake.